This article isn’t for those who have never done a budget before. It’s for the person who knows how to budget and has done it in the past, but may have recently gotten off track. This happens to pretty much everyone, so it’s not a catastrophe, but you’ll need to get back to a stable condition eventually if you want to enjoy financial peace. Here are six tips for how to do that. Start by amassing as much education as you can. Read comprehensive budgeting guides, subscribe to budgeting YouTube channels, and follow budgeting pages on Instagram. Hundreds of useful resources can increase your knowledge base and keep you thinking clearly about your budget. Along with furthering your education with regard to budgeting, use apps and tools to stay on track. Find a budgeting tool that empowers you to check your spending categories while you’re at the grocery store or dining out. Financial expert Holly Weidman of Mrs. Savvy Saver says a mobile budgeting app is one of the best tools her family found for staying on track. “Not being able to adjust our budget on-the-go, in real time, is our greatest downfall,” she told Discover. “If your budget is written down at home, in a drawer or in a planner, it’s essentially an ‘out of sight, out of mind’ problem.” Staying on top of your resources puts your budget at the forefront of your consciousness. You’re constantly aware of it and better able to use it to your advantage. Perhaps unrealistic goals have caused your budget to fail. For example, if you normally spent $500 a month on groceries before you drew up your budget, and you’re trying to spend only $200 now, you might be demanding too much of yourself. So set goals you can actually meet. This may take some time and repeated calculations to ensure you have enough money set aside for your needs. If you seriously want to get down to $200 per month for groceries, try weaning yourself from your initial high numbers gradually: Shave off $25 per month until you reach $200 rather than trying to switch cold turkey. Sometimes it’s helpful to motivate yourself by looking beyond the here-and-now. Design a budget that includes some of your long-term goals, so you’re to be more motivated to stick with it. For example, if you’re trying to save to buy a house, create a plan for the entire year. If your income is $3,000 a month, you might try to keep your expenses down to $2,000 so you can save a thousand for the down payment. Thinking long term can help you stick to your budget better. Goals over the short haul can be just as useful as long-term ones. Make these items specific and attainable. For example, for one month you might try to use only cash when you make purchases, which could help reduce credit card abuse. Other goals might include taking a sack lunch to work, saving 10 percent of your paycheck each month, developing a $1,000 emergency fund, or scheduling a no-spend week. Many budgets fail because their makers refuse to be flexible. The person puts a certain dollar amount in each category and beats himself up if he overspends. Often, the solution to sticking with your budget is rolling with the punches and rearranging your budget regularly to meet your evolving needs. 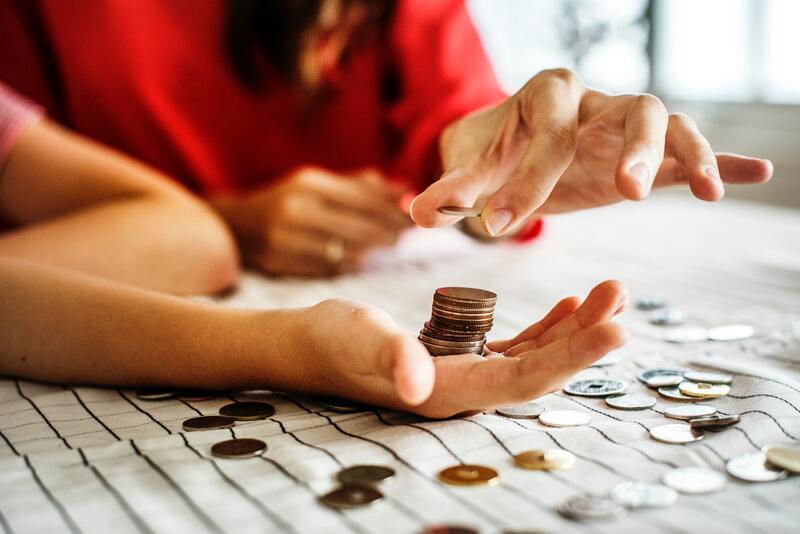 “Budgets that ask you to set an amount and then never change don’t work,” according to an article from the top-rated budgeting app YouNeedABudget (YNAB). “If you’ve tried one before, you know that…. Moving money from one category to another keeps you on track.” This is a fundamental feature of the YNAB budgeting system. Individuals who adopt this strategy and allow themselves to be flexible with their spending have reported it keeps them on the budgeting path. Cutting up credit cards is a common tactic for those who struggle to stay on budget, but it makes many people uncomfortable. They want a credit card handy in case of an emergency. Credit card spending is one of the most common causes of overspending, so if you don’t want to cut up your cards, hide them. Take your cards out of your wallet or handbag and place them in your underwear drawer. Just keeping them out of easy reach may do the trick, but if you don’t trust yourself and need stronger medicine, you could have a friend or partner hide them. Budgeting can be one of our greatest challenges, but it’s not an impossible exercise. If you set the right goals and work within well-designed constraints, you can experience the joys of a well-budgeted lifestyle without constant worries over money.